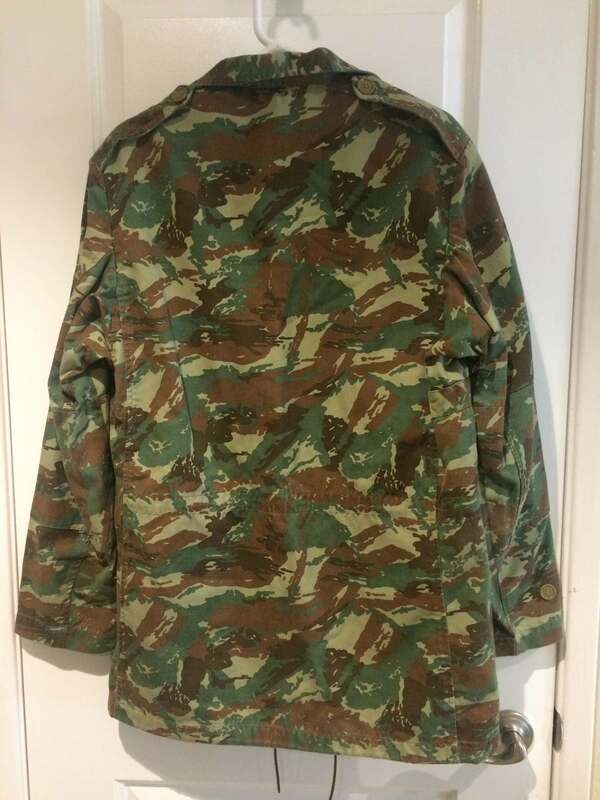 Jacket made of same material as below. Same cut as dry season version. Raw fabric, swatch is color balanced. 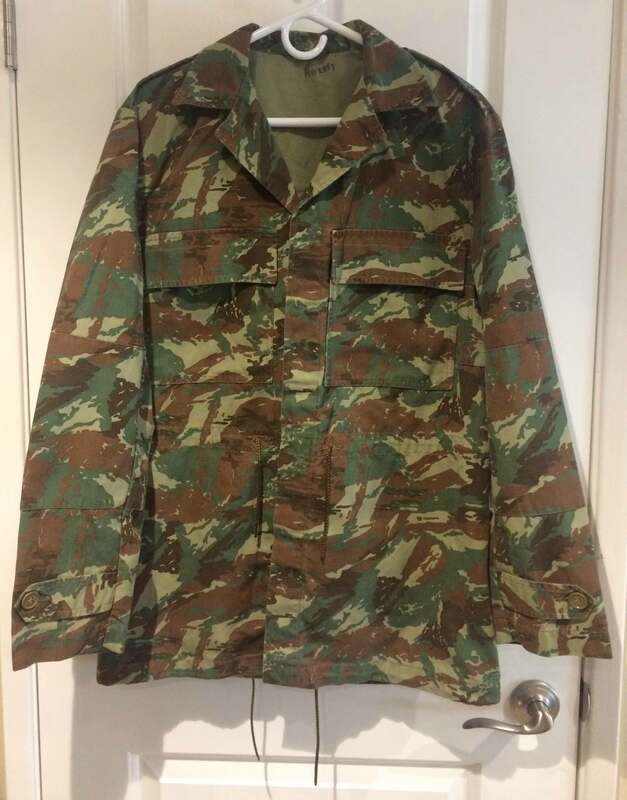 Material (cotton/poly? 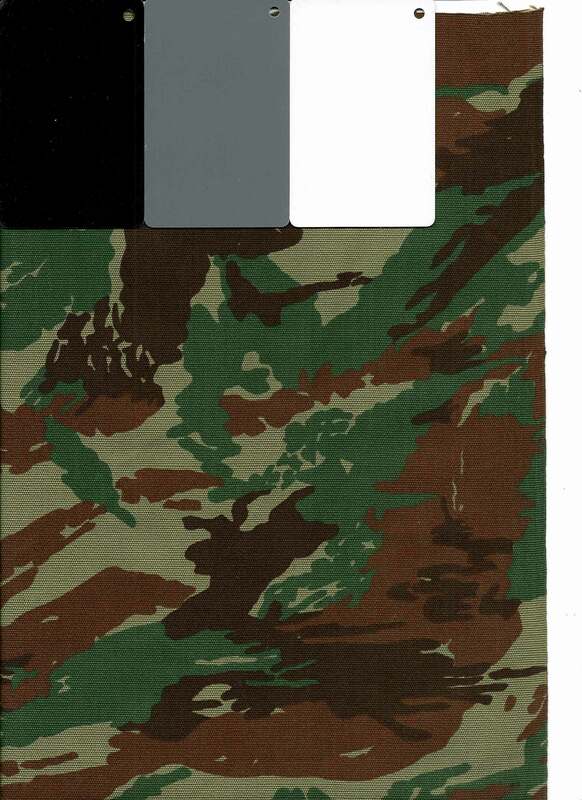 blend poplin) matches that of most South African produced uniforms. Darkest brown color is same as darkest brown of winter version of pattern.